Actually, knitting has nothing to do with it. Just sitting for hours at a time is bad for your health, according to a new American Cancer Society study of more than 123,000 men and women. Too much sitting increased the risk of dying from heart disease substantially. People who sat a lot but exercised at some point during the day fared better than those who did not. In fact, among women who sat for long periods and did not exercise at all, the risk of dying increased by a whopping 94%! For men, that figure was 48%. 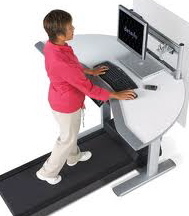 A walking work desk, like the one pictured above, is one solution. And here’s a cool alternative for knitters — a knitting belt — which actually was commonly used in days of yore. According to the fascinating website Old and Interesting (a name that could be applied to some of my very own friends! Just kidding!! 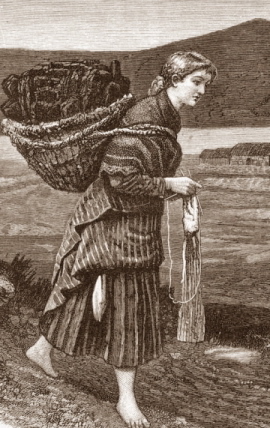 ), knitting while walking was the norm in the olden days. 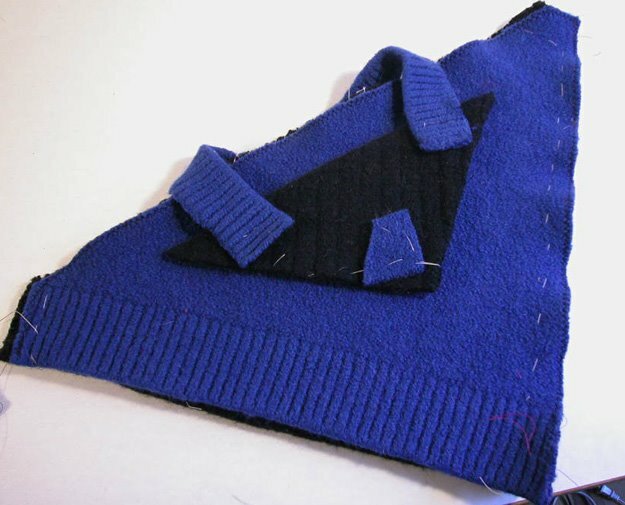 Unlike today’s knitters, who usually aren’t knitting out of necessity, our ancestors made things — socks, hats, sweaters — that family members needed. This was before malls and department stores, obviously. And since there was so much other labor to be done each day, spare time to sit and knit was practically nonexistent. 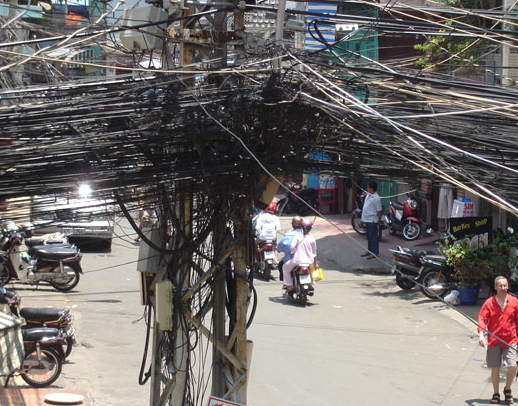 (I imagine the lack of electricity played a role, too. Knitting in the dark usually doesn’t have a really great outcome.) So you learned to knit while walking or doing other things that left your hands free. In light of this new study on the lethal effects of sitting, maybe it’s time for walking while knitting to make a comeback. I may give it a try on the next hike and report back later on the results. 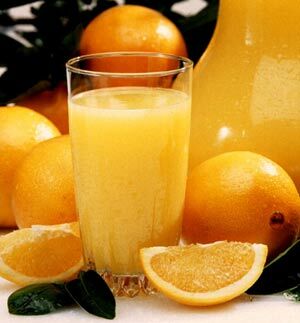 Here’s a happy discovery to go with that Happy Meal: Researchers have found that downing a glass of orange juice instead of soda or water puts the brakes on inflammation caused by fast food. Minimizing inflammation is important, because it makes us more vulnerable to heart attack and strokes. Before you race out for a Big Mac, though, be aware that this was a very small study, so it needs to be replicated with more people to make sure the findings hold up. But at least next time you’re faced with choosing between a fast food fix and passing out from low blood sugar, go ahead and eat, but be sure to swap the soda for orange juice. 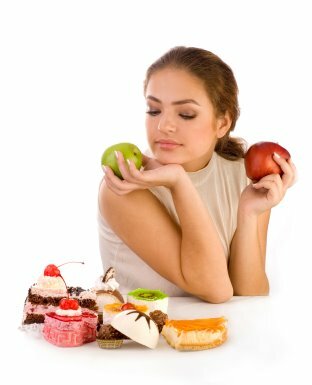 You’ll still be getting a lot of calories from not-so-good fats and sugar, along with waaaaay too much salt and processed ingredients, however, so if you’re serious about staying healthy, don’t make it a regular event! If you’ve ever had a urinary tract infection (UTI), you don’t need me to tell you that it’s one of the most uncomfortable experiences ever. Unfortunately, UTIs are the most common bacterial infection in the country, with millions of people (mostly women) requiring medical care every year, according to an article in Life Extension Foundation’s magazine. Conventional medicine typically calls for aggressive treatment with broad-spectrum antibiotics, including trimethoprim, cephalexin, or ciprofloxacin (Cipro®). The deleterious effects of these drugs on women’s health are notorious: fatigue, nausea, digestive distress, secondary infection, and the eventual evolution of resistant bacterial strains impervious to even the most powerful antibiotics. Now for the good news. 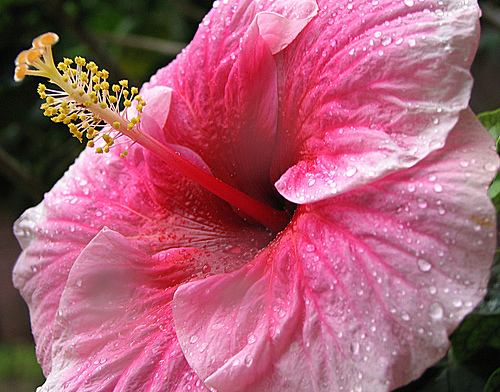 Extracts from hibiscus flowers have been shown to not only combat the bacteria responsible for the infections, but also fight the fungus that are linked to UTIs. But wait … there’s more! Earlier clinical trials have found that hibiscus extract lowers “bad” (LDL) cholesterol and may reduce blood pressure, making it a win-win supplement for many people. And that means it’s also a good complement to cranberry juice and supplements, which are also proven to combat UTIs. To be on the safe side, talk to your health care practitioner about adding hibiscus supplements to your regimen, especially if you are pregnant, attempting to become pregnant or are being treated for a health concern. Back when I was in college, I read “Sugar Blues” by William Duffy (and not by candlelight — we had electricity, even way back then!). Ever since, I’ve been leery of sweets. There have been plenty of other books written on the subject and in theory the debate about whether or not sugar is good or bad rages on. I say “in theory” because the sugar and corn (makers of high fructose corn syrup) industries have powerful lobbies in Washington and there are literally billions of dollars involved. All this makes it tougher to sort fact from fiction. If you’re trying to lose weight, sugar is not your friend. Don’t take my word for it. Here’s a great little summary from the Washington Post’s Lean Plate Club with some excellent food for thought. 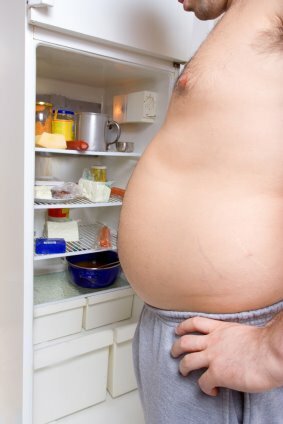 …the 60+ percent of our population who are overweight or obese. According to a new report in The Guardian, excess weight is likely to double the number of cancer deaths in the next 40 years. The saddest part: about one-third of those deaths are preventable with lifestyle changes, such as improved diet and more activity. It’s truly mystifying to me that people don’t connect weight and health. But rather than try to figure out how that happened, it seems more productive to focus on weight loss and management. What does this have to do with crafting? More than you might think. Because crafting (and many jobs these days) is so sedentary, it’s almost a given that you’ll gain weight if that’s all you’re doing. And now I’m going for a walk! My name is Marie and I’m a green tea addict. Seriously. That’s not meant to mock 12-step programs — I’m just trying to get your attention. Because I just read yet another article written by a person who tried green tea and could not stand the taste of it. My response? She did not have a good, high quality tea. 2. Put a scant teaspoon of tea leaves (less is truly more with green tea) in a small strainer, put the strainer over the top of a cup so the tea leaves can soak in water and pour hot (not boiling) water over them. Let the leaves steep in hot water for NO more than two minutes. Green tea becomes bitter if it steeps for much longer than that. If you want to decaffeinate your tea, let the leaves soak for 30 seconds, throw out that water and pour new hot water over the leaves. Nearly all the caffeine is removed from the leaves during the first 30 seconds. Still not crazy about the taste of green tea? Check out the flavored greens — jasmine, Earl Grey, and the ones that incorporate fruit bits and/or flower petals. They are amaaaaaazing! Why should you go to all this trouble to buy what appears to be over-priced (not really) tea that you’re not even sure you like? Time for another list! 1. 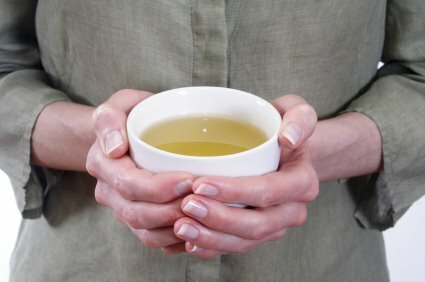 Green tea has profound health benefits, including the possibility of minimizing atherosclerosis (hardening of the arteries), reducing levels of LDL (bad)cholesterol, cutting the risk of developing various types of cancer, easing symptoms of inflammatory bowel disease, diabetes, neurodegenerative and liver diseases. Fewer symptoms and ailments means less money spent on doctors and medicine, right? 2. Green tea has been linked to weight loss. It’s no magic bullet, because there isn’t one. None. Nada. Period. (MUCH much more on weight loss in the near future. )But it does help, plus it has the other health benefits listed above. 3. The used tea leaves make an excellent mulch for your green plants. 1. My favorite hangout — Le Palais Gourmet (http://www.lepalaisgourmet.com). Don’t be put off by the fancy name or the prices. These people are devoted to tea. And price-wise, you can get a whole lot of great tea for the price of a few of those over-sugared, 500-calorie “coffee” drinks that end up on your hips and thighs. 2. Harney and Sons (www.harney.com) have a great website, beautiful catalog and extraordinary teas that are worth every single penny. Time for some tea. See you later!